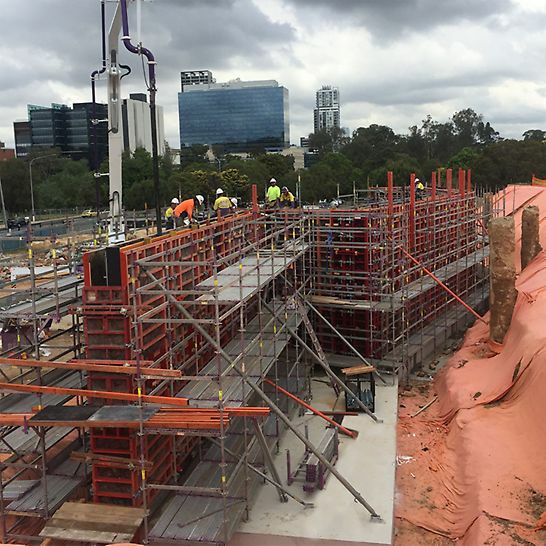 The Western Sydney Stadium (WSS) is a new sports stadium in Parramatta as a replacement for the demolished Parramatta Stadium. 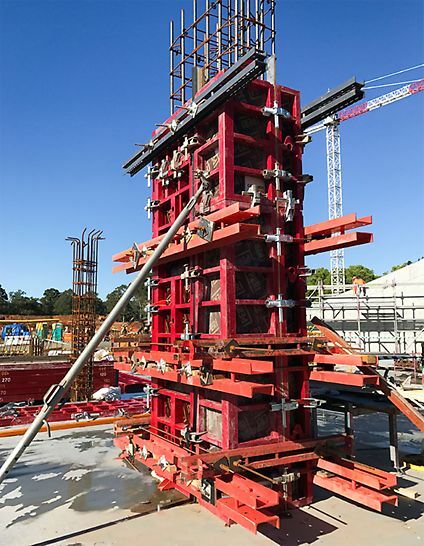 Fast & safe assembly with the MAXIMO wall & column forms being able to be assembled to full height on the ground and then crane lifted into position. 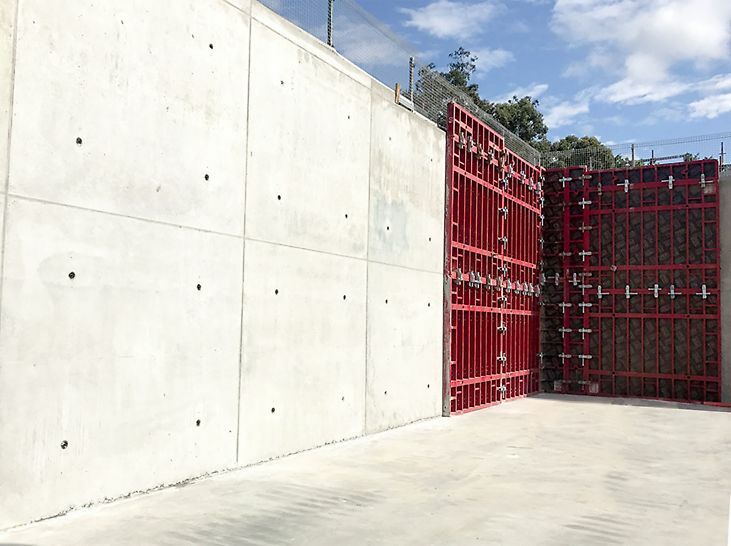 Rebates and angles were built directly onto the MAXIMO form face and were able to be reused throughout the project, saving time and money. 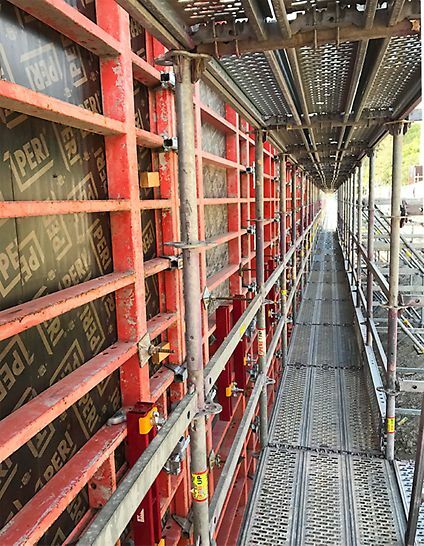 PERI UP Rosett Flex allowed for safe access around the formwork, within the stair cores and for steel fixing. 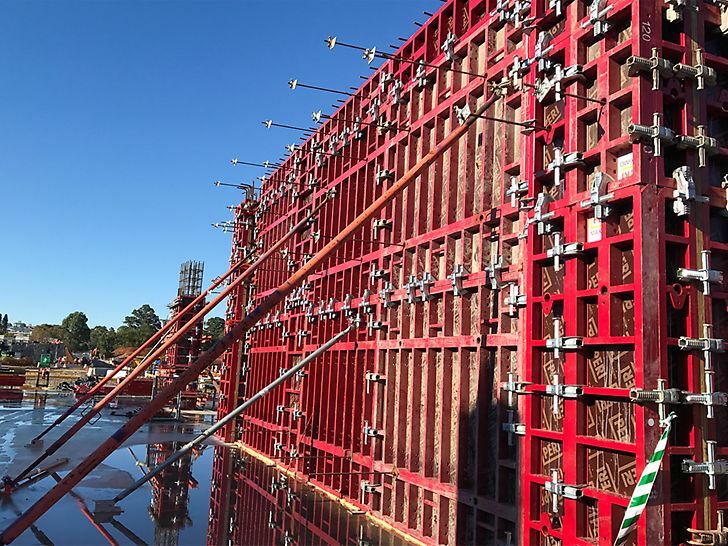 Concrete finish was also of importance on this project and the MAXIMO helped achieve this with the uniform tie locations. 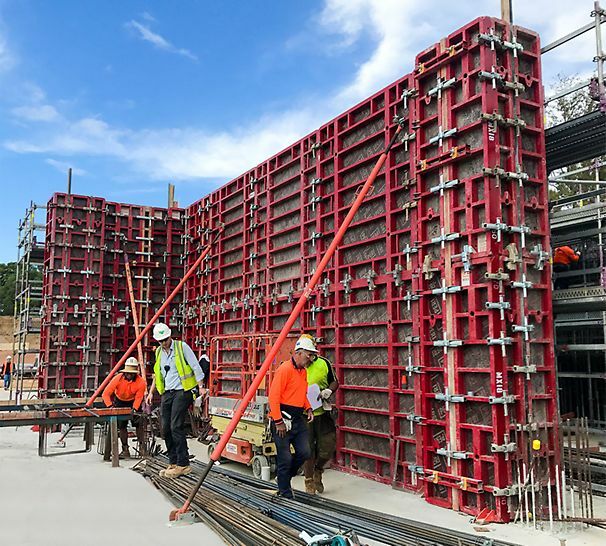 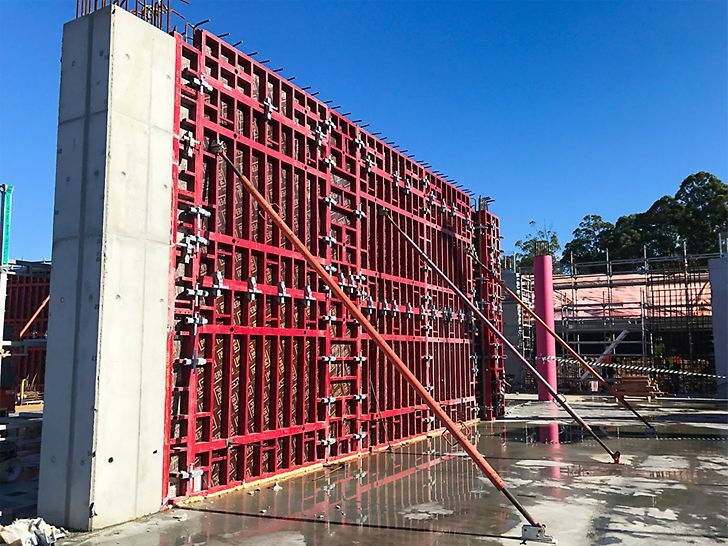 PERI helped our site team achieve the program required by the main contractor, the large amount of complex high vertical elements proved challenging but we accomplished this with PERI engineering and on site back up. 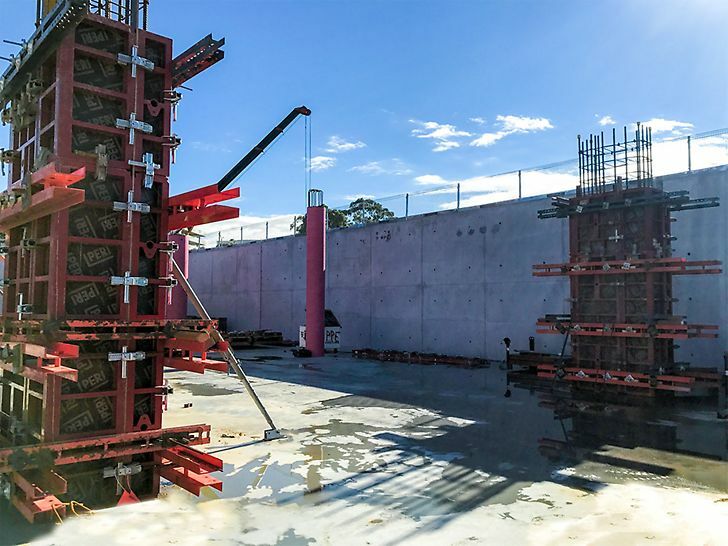 Using approx 1300m2 of MAXIMO to complete the large amount of high retaining walls, columns, shear walls and cores. 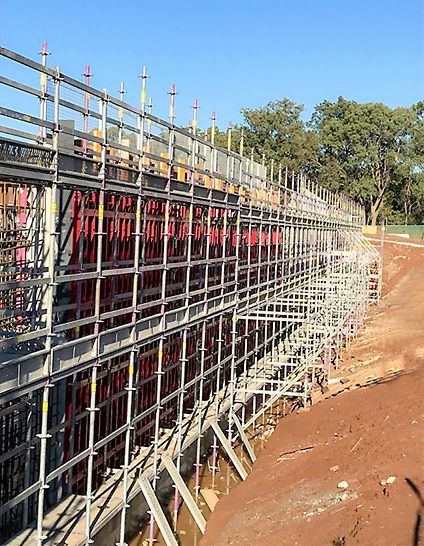 Using approx 300-350t PERI UP Rosett Flex to ensure safe and easy access to all construction areas, not only for the formwork contractor but also other trades such as steel fixers, crane crew etc. 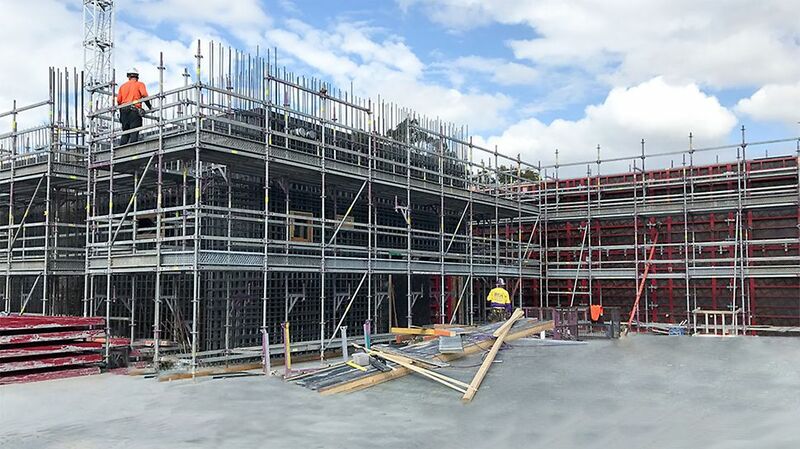 Supplying full engineering design and on site support throughout the duration of the project.